Huge weddings call for huge wedding cakes. Even if you’re only planning to have an average-sized wedding cake, it’s still super fun to check out some of the massive cakes ordered by other brides. Take a look at these huge, beautiful wedding cakes! This 6-tier wedding cake features a circle of smaller cakes below, and is jam-packed with flowers between every level. It’s stunningly beautiful and large enough to feed an army. 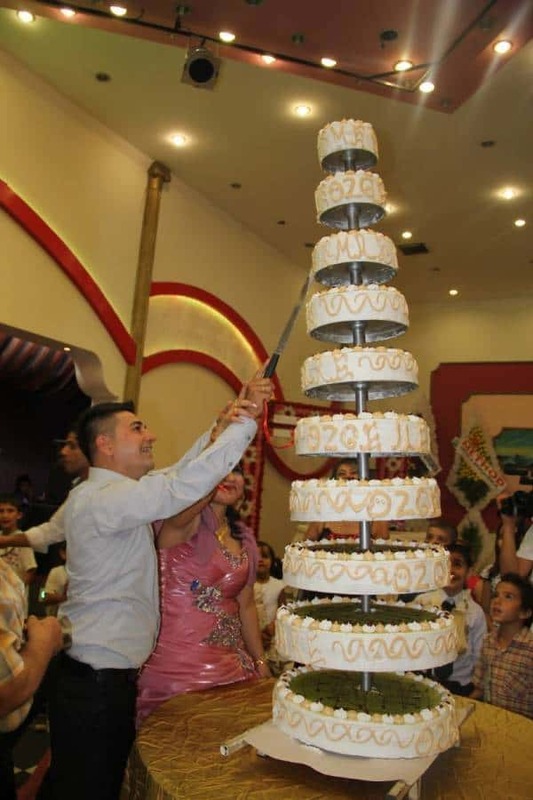 Look at this couple trying to cut their 10-tier wedding cake! It’s really hard to reach those upper layers! The cake is definitely beautiful, and absolutely huge. 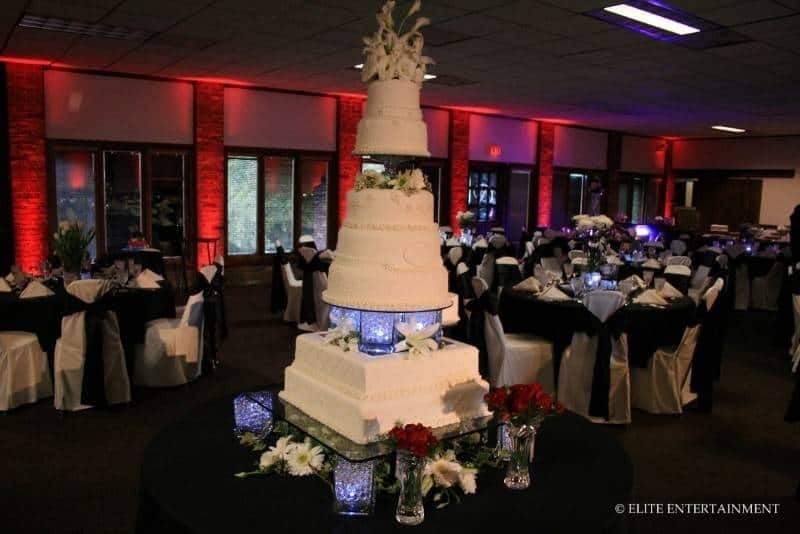 This unbelievable, 7-tier wedding cake is embellished with calla lilies and features LED light pedestals that look absolutely gorgeous. 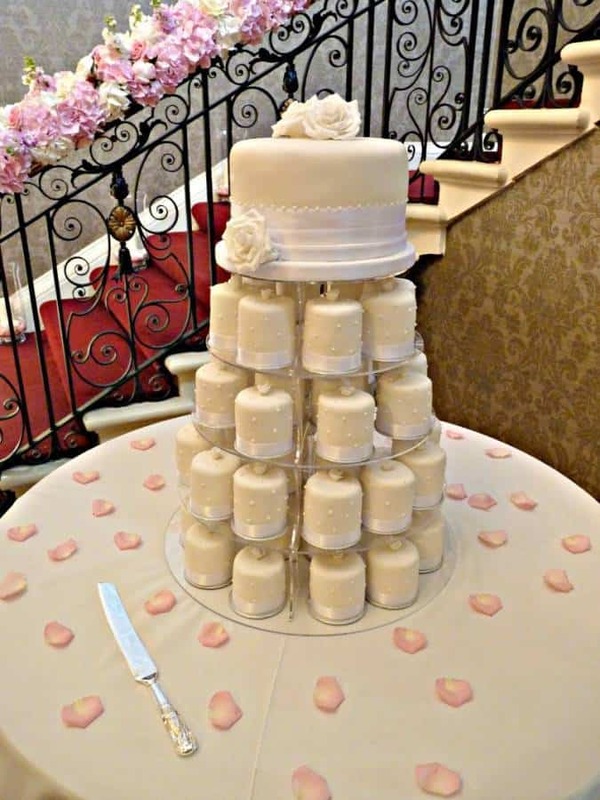 Don’t let the height of this cake fool you – not only is it a 5-tier cake, but there are dozens of tiny cakes to pass around to the tables at the reception. This is enough cake to feed a LOT of wedding guests. It’s absolutely beautiful, too! This 6-tier wedding cake is not only huge, but it’s gorgeous. 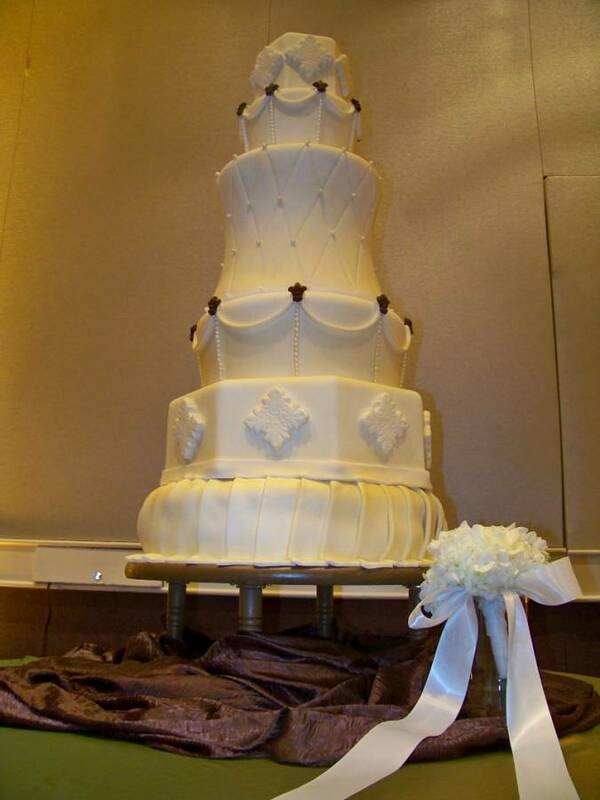 It’s made from fondant, and features pearl embellishments, and a variety of textures on the different tiers. If you’re planning a huge wedding, these cakes can definitely inspire you, and if you’re planning an intimate wedding, you can at least be glad you won’t be responsible for the price tag on one of these babies!